Many training methods are usually proposed to better prepare incoming employees. 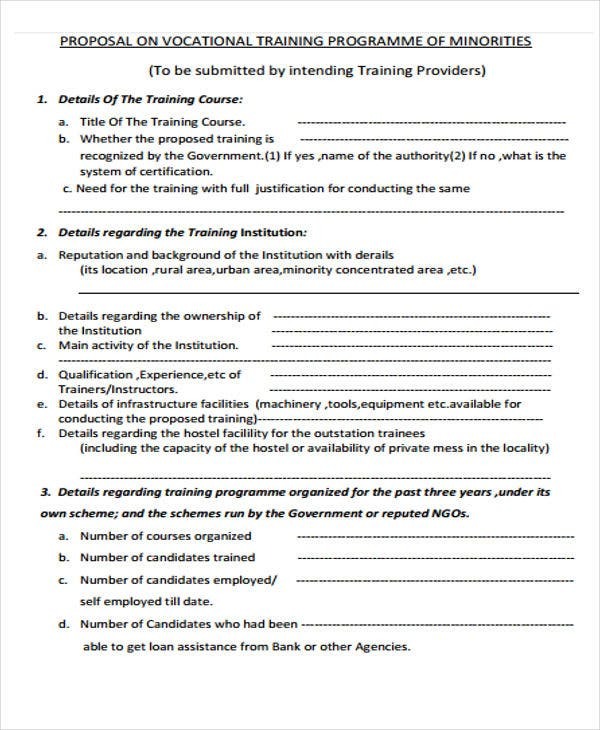 Training can even be proposed for employees who are already working in the company. In either case, submitting a training proposal is recommended so that your superiors would know the details of the training. 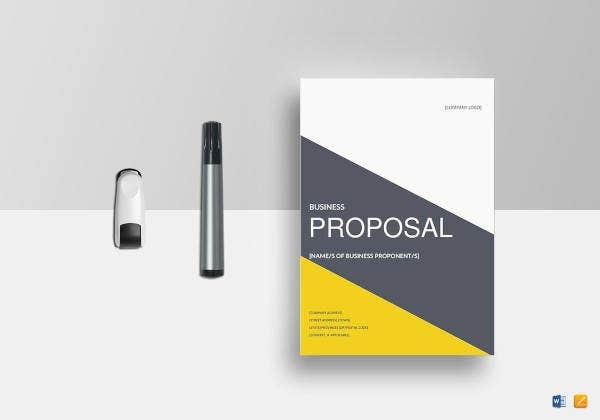 Making a training proposal isn’t all that much different from making a business proposal or even a client proposal. 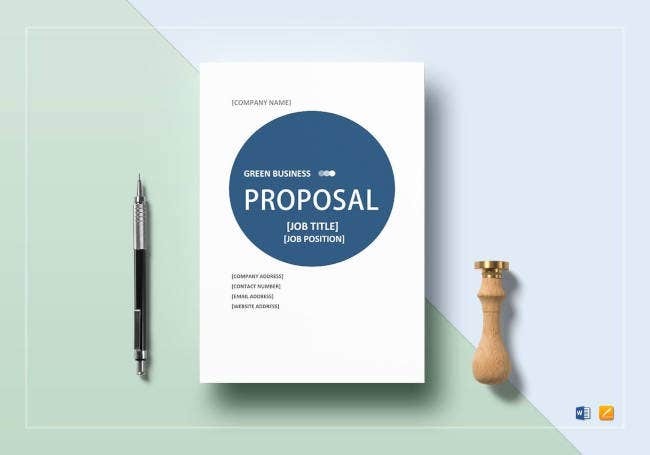 Knowing how to present a proposal to your management can help increase the chances of it being accepted. 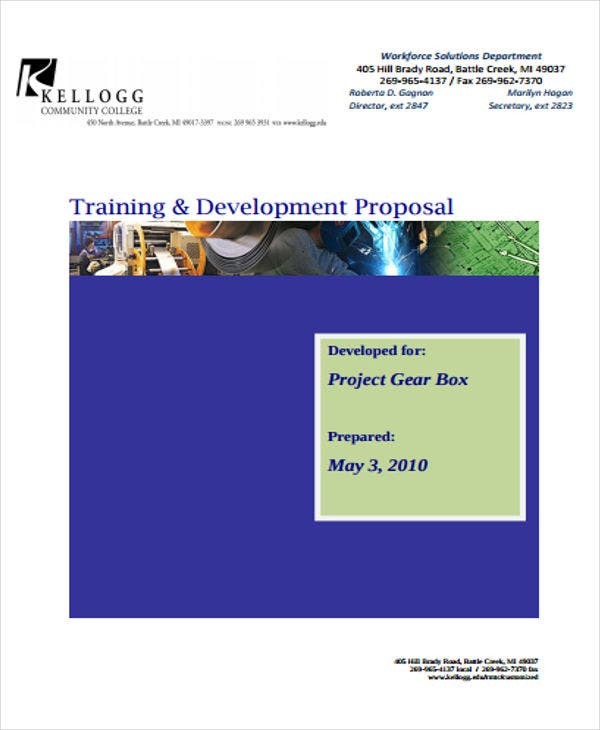 On this list, you’ll find training proposal templates, as well as samples of training project proposal, to help you do just that. You need to be able to tell those entering your business of what they’re going to be training in so they can agree to it. This is purely for formal purposes, but you will be giving the knowledge of what’s to come to the trainee. 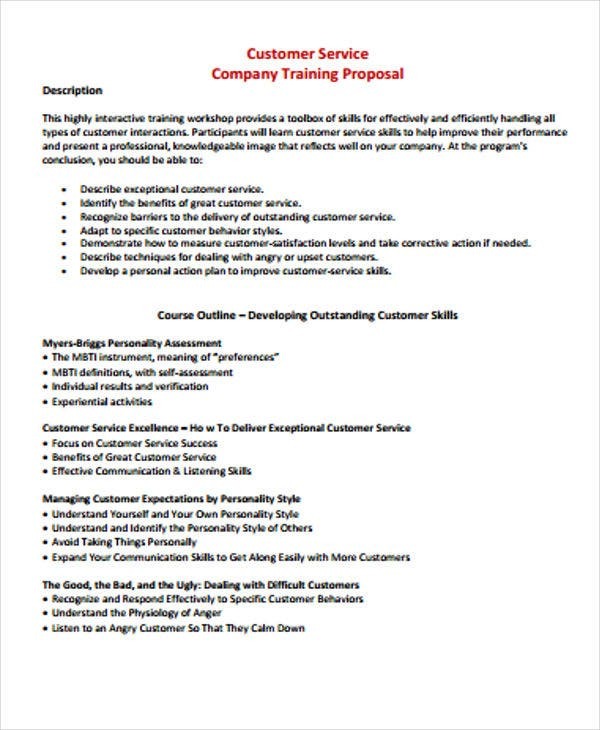 You can write what kind of skills and capabilities the trainee will have after he has been trained on the training proposal. You should input what classes he will take in order for him to know more about his upcoming lessons. You can also try to input in any other details and expectations so that the trainee will be clear on what he needs to do. 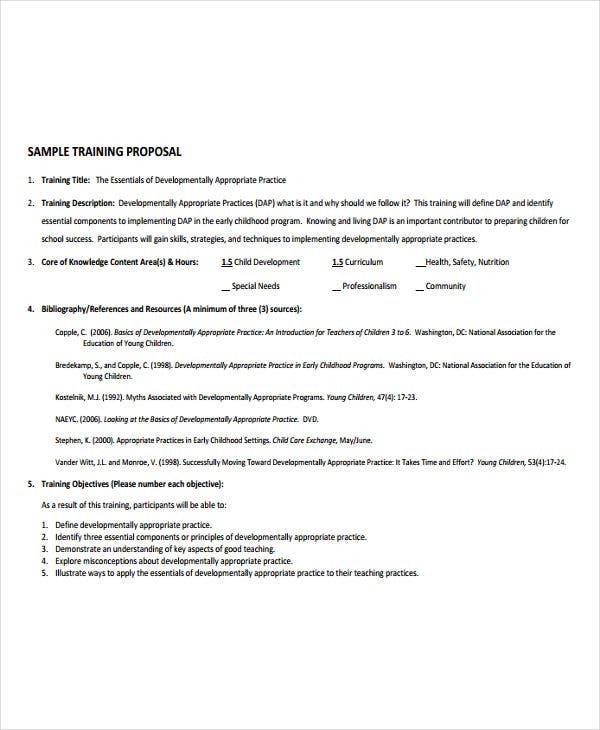 Don’t worry, as long as you follow the training proposal templates that we offer, you can easily make a training proposal for yourself. 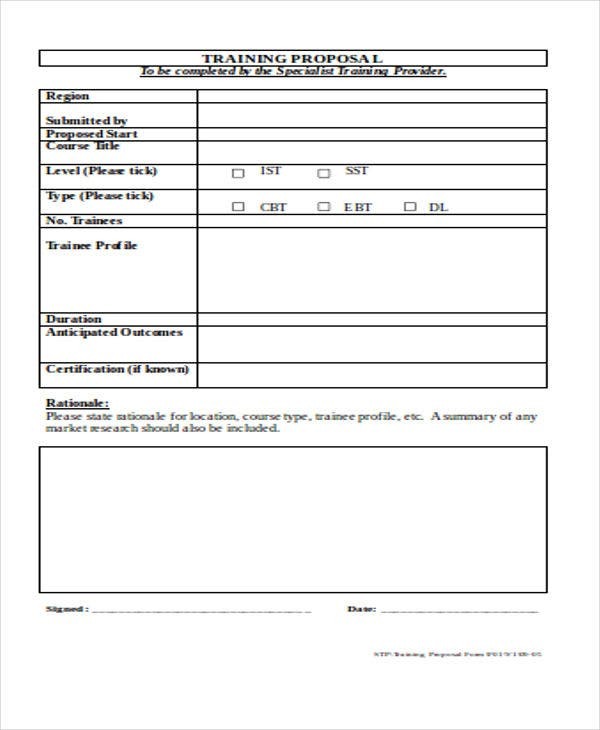 We offer many Proposal templates in DOC or even in Proposal templates in PDF our website to help you out should you be interested. 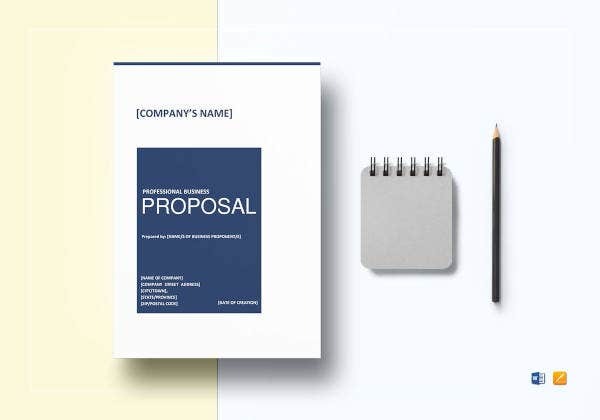 If you need a specific type of proposal for consultation, you can check out our list for consulting proposal templates. Know what you need to train your new employees for. 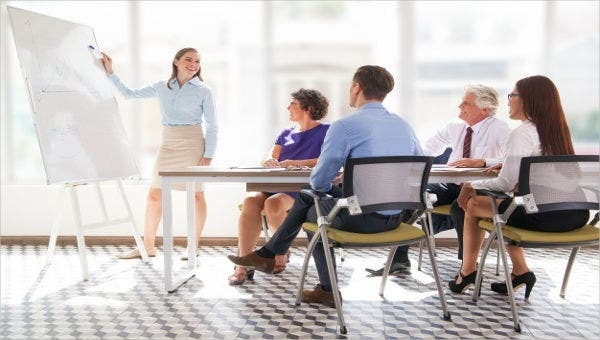 The very first step when making your plan for training or your training proposal, is to know what kind of training you’re going to give to your new employees so they can be prepared for the job they are taking. See to it that you already have all the elements you need to train them. It could be important to get confirmation if necessities, such as the trainers and classroom materials, are ready before you start the training itself. 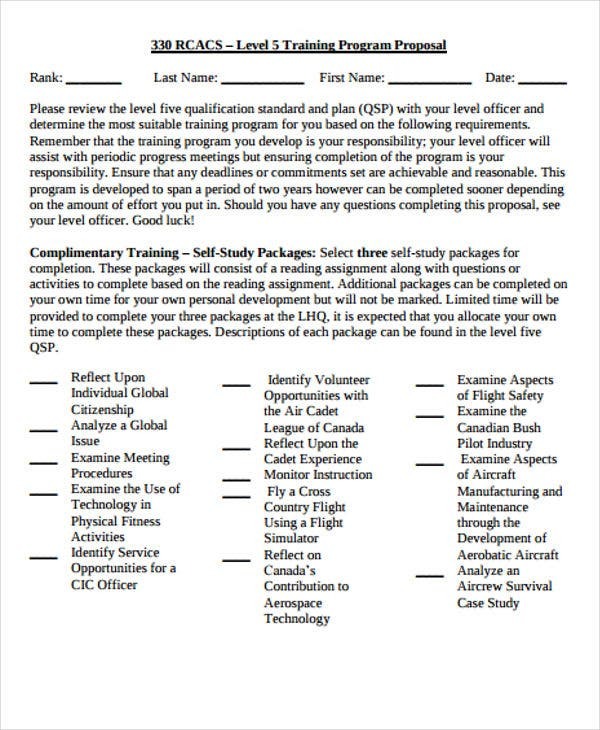 Include what is expected of the trainees by the time they finish their training. This can help them prepare for the kind of skills they’re going to be taught and help them know what skills are required for the job they are taking. 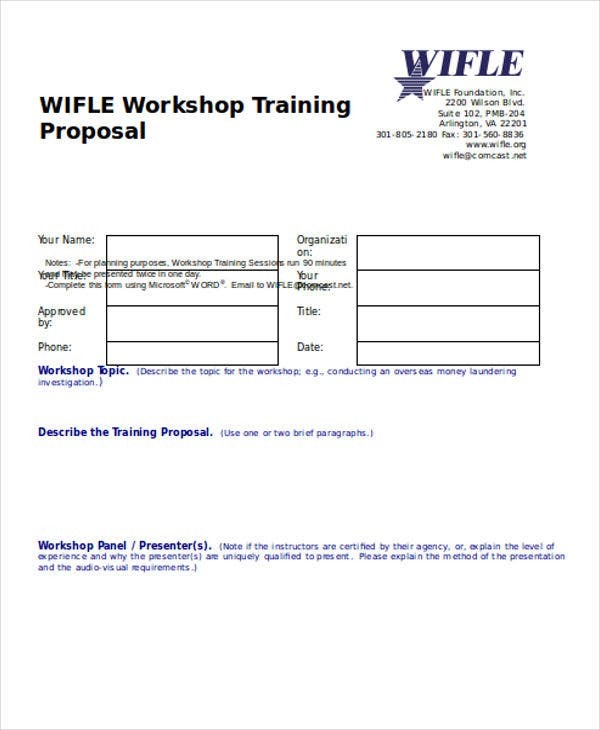 Get their consent if they are okay with the training proposal templates you’ve provided to them. 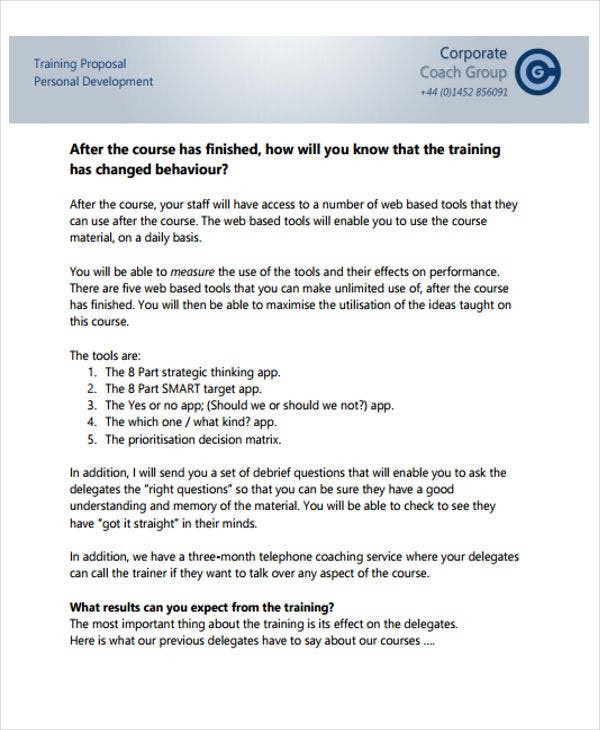 Training proposals may just be presented usually for formal reasons, but it can be great to confirm understanding from the trainees themselves. Make the training plan flexible. In case of any new schedules provided, the training plan you’ve created can be adjusted to suit the schedule exactly. 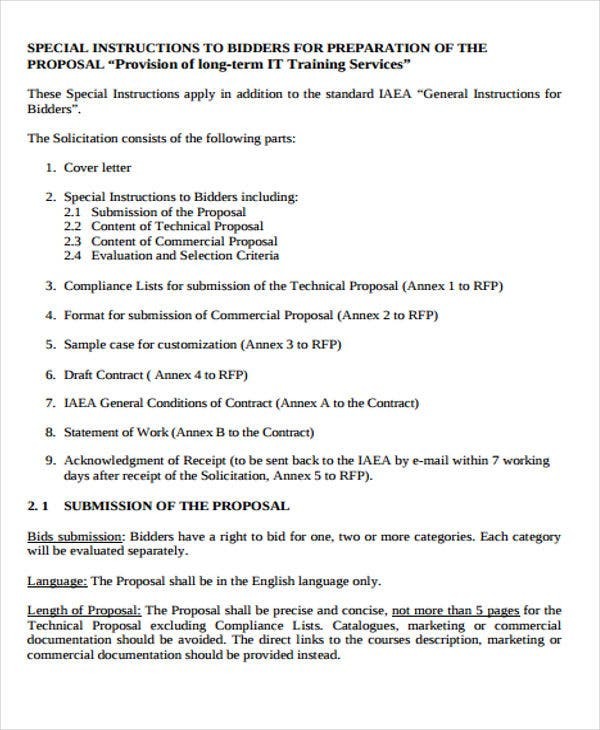 Marketing Proposal Template – 29+ Free Word, Excel, PDF Format Download!